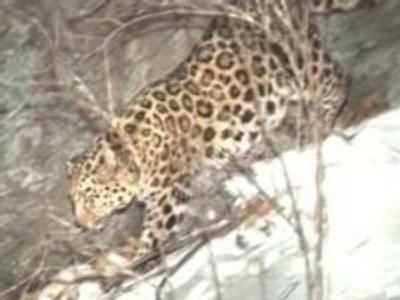 Scientists in the Primorie region of Russia are studying the decline of the Far Eastern Leopard and the Siberian tiger. It's estimated there may be as few as 30 Leopards left in the wild and the race is on to find out why. Both the Siberian Tiger, with its misleading name, and the Far Eastern leopard actually inhabit Russia's Far East – around the Amur River. The Siberian tiger is also known as the Amur tiger. The scientists have to be extremely careful as the only way to conduct tests is to sedate the animal. However, it is the far eastern leopard that the scientists really want to study. These cats are on the edge of extinction. John Goodrich from the World Widelife Fund said researchers are still trying to find out what diseases pose a threat to the animals. This study of Russia's big cats is to last several years. The next stage is to attach trackers to them in a hope of monitoring the population.